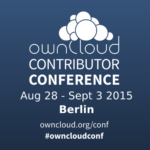 It’s time again – the ownCloud Contributor Conference is just about here. 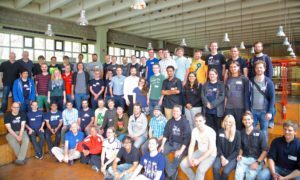 For one week, the ownCloud Community from around the globe will gather in Berlin to code, design, discuss, talk & have fun. 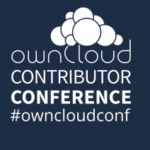 Packed with Techtalks, Workshops and a Hackathon, the ownCloud Contributor Conference is the place to be for all things related to ownCloud. It is your chance to learn about the latest developments & features, network with other ownClouders and partners, get to know the creative minds behind the ownCloud software, and share ideas with like-minded people. ownCloud is a worldwide project and our community consists of members from all corners of the globe. 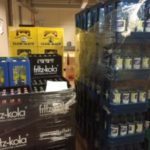 Unfortunately not everybody will have the chance to attend the Contributor Conference in Berlin. But here’s the good news – we will not only record the conference, but will also provide a live stream for everybody to join. You will be able to follow the talks and interviews in real-time from the comfort of … wherever you are. The streaming will kick off with the keynotes at 10 in the morning and run all the way until the talks finish at 1pm Berlin time. As that is very early for our US community, we have planned to talk to many of the speakers in a number of interviews in the afternoon, starting at 4pm CET (10am EDT / 7am PDT). Notable ownCloud contributors and conference keynoters to review the morning announcements and provide some color, live! 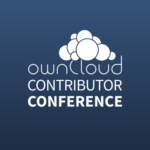 To give you an overview of the full ownCloud Contributor Conference, you can find the agenda and schedule here. You can watch the video below or at this URL. 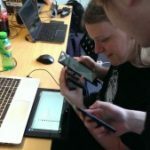 I do not see any link to the live stream – where do I find it? I tried Firefox, Opera and Chrome and all give connection refused for both the embedded video in this page and the link to the video. I signed up for a VPN to Germany – it works if I VPN to Germany first then access the site. I guess there is some country blocking there or…? The system does not have any geo-blocking in place. If there is something blocking the stream, it’s your ISP.